Margaret Werner (1921-1997), an American citizen living in the Soviet Union, was 17 years old when the secret police came for her father, whom she never saw again. Left destitute, she and her mother fought extreme cold and near starvation, taking whatever jobs they could find. Seven years later, in 1943, the police came for Margaret. Accused of espionage, she was sentenced to 10 years' hard labor. 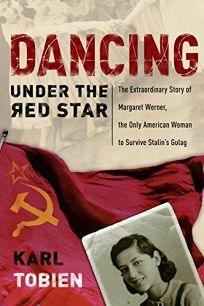 Tobien, her son, describes the appalling privations and backbreaking work in her Siberian prison camp, but also the prisoners' strong friendships and the dance troupe the women created with their guards' approval. A recurring theme is Margaret's growth in faith, culminating in her conversion to evangelical Christianity in 1991. Tobien tells his mother's story simply and chronologically, as if to a young audience. His use of a first-person point-of-view seems gratuitous, since he rarely explores Margaret's inner life. Despite the ever-present backdrop of Stalinist Russia, WWII and postwar communism in Russia and East Germany, this is less an analysis of cold war politics than a tribute to a woman who survived unimaginable horrors with her optimistic spirit intact.